Residents and aid workers in the besieged Yemeni city of Hodeidah fear that growing violence in the city will rupture the fragile ceasefire, despite insistences from the UN that both sides remain committed to negotiating the end of the four-year-old civil war. The Saudi-led coalition fighting Houthi rebels in control of the city sparked fears of escalation this week after UAE foreign minister Anwar Gargash said it struck 10 Houthi training camps elsewhere in the country in retaliation for what he said was a spike in Houthi violations of the truce. The coalition is “prepared to used more calibrated force to prod Houthi compliance with the Stockholm agreement,” he said. Inside Hodeidah itself, several fighters on both sides of the conflict were injured in sustained clashes over the last three days, resident Manal al-Osabi said. Artillery shelling has rocked frontline areas in southern and eastern neighbourhoods where the coalition advance was frozen ahead of peace talks in Sweden in December. Six weeks into a ceasefire designed to save Hodeidah’s vital port, through which the majority of food, aid and fuel to the country to the famine-stricken country flows, scant progress has been made on the measures agreed in Stockholm. The 7 January deadline for the pullback of troops has slipped and a prisoner swap derailed after additional demands from Houthi negotiators. Houthi fighters have resumed planting landmines and shelling from an undiscovered source last week that caused a fire which damaged two silos at a World Food Programme wheat storage facility. It endangered supplies which are supposed to feed 3.7 million people for a month in a country where 80% of the population is now dependent on aid to survive. 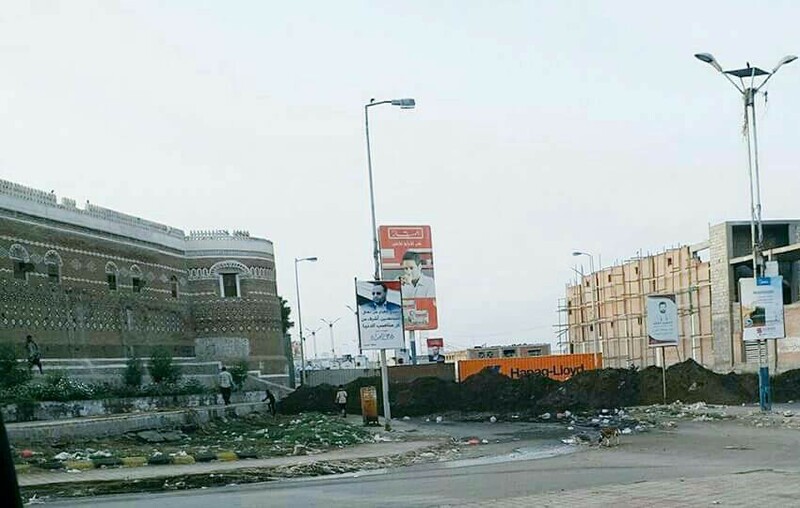 Aid workers say many families in Hodeidah are now sifting through rubbish for food and medical supplies remain in short supply after the city’s only functioning hospital was affected by the fighting before the 13 December ceasefire came into effect. “The ceasefire is there on paper, but otherwise it’s more or less in [UN special envoy] Martin Griffiths’ head,” said one source close to the peace process. Griffiths briefed the UN security council in a closed-doors meeting on Thursday on new efforts to facilitate an off-shore meeting of government and Houthi representatives to discuss the withdrawal of fighters and redeployment of a UN-monitored security force in Hodeidah after a Houthi refusal to travel to government-loyal territory. He has faced pressure from the coalition for the UN to declare the ceasefire is over – a move which would effectively give the green light for a renewed offensive on the rebel-controlled city. The coalition fighting to restore the government of the Yemeni president, Abd Rabbu Mansour Hadi, believes retaking Hodeidah will clear a path to seizing the capital, Sana’a, from the Houthis, but the Iran-backed rebels have proved consistently more difficult to dislodge than Riyadh anticipated. The UK, among other western governments, has been criticised for fuelling the conflict by selling arms to the coalition. A report released this week by Control Arms UK criticised Westminster for authorising 18,107 open licence deliveries of arms and equipment to Saudi Arabia for use in Yemen since the war broke out in 2015, without disclosing to the public the quantities or value involved. While the official UN death toll in the conflict has stalled at 10,000, monitors say the true figure stands at between 50,000 and 80,000 people, killed by violence, malnutrition and the worst cholera outbreak in modern history.